Why do I need to undertake due diligence? Buying a business is one of the most significant investments you will make in your lifetime. … wouldn’t you want to know? Due diligence allows you to recognise those risks before you commit to purchasing, so you can minimise the risk of a negative event impacting your financial strength and wellbeing. The JPAbusiness team regularly prepares custom due diligence checklists for clients looking to purchase businesses. 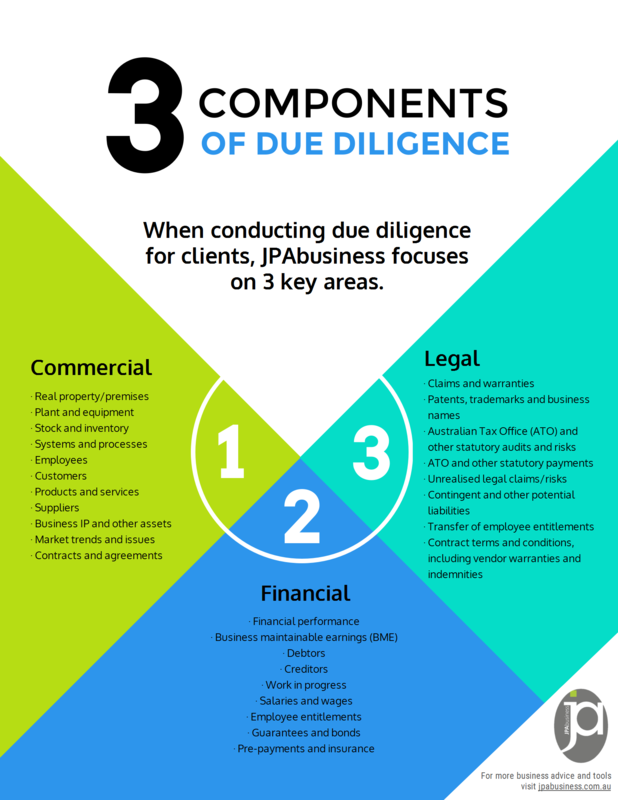 The following infographic highlights the key issues that should be investigated as part of your due diligence on a business purchase opportunity. 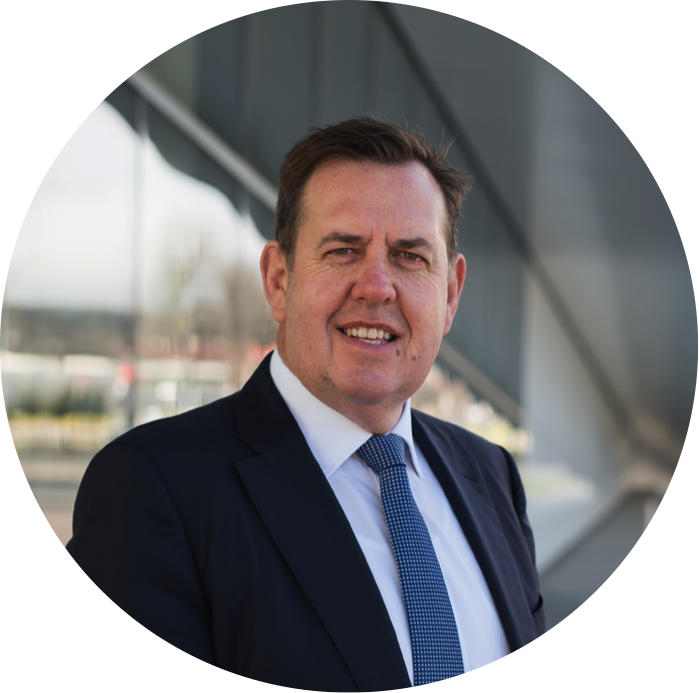 Our advice is to engage professional assistance to support you in conducting due diligence on an acquisition opportunity – this will ensure a robust assessment of the things that matter to ensure your pending investment has the best chance of success. If you would like support conducting due diligence on a business purchase opportunity, contact the JPAbusiness team for an obligation-free consultation.